Barcelona legend Xavi has claimed no player who has left the Catalan club should be re-signed by the Blaugrana, including Arsenal star Hector Bellerin. "I would never sign a player who has left Barca. I haven't seen him [Bellerin] too much, but I will say one thing: It would be difficult for me to sign a player we already had. I would not like to participate in re-signing players that left. At 16 or 17, why did they leave? I see it as baffling and I don't understand it. It surprises me greatly what they have done like Jordi Mboula and Eric Garcia. I would not bring them back in the future. That's my philosophy: You were here, you wanted to leave and now you don't return." The former Spain international graduated from Barca's famed La Masia academy and spent 17 years in the senior squad, during which time he won eight La Liga titles and four UEFA Champions Leagues. During his Camp Nou career he had key team-mates who left the club and then returned. Cesc Fabregas and Gerard Pique both departed La Masia to join the youth ranks at Arsenal and Manchester United, respectively, only to be re-signed by Barca after making their first-team breakthroughs in England. Under Xavi's rules, neither would have returned to the club. At least for now, Bellerin's return to Barca has been put on hold as the La Liga club have dropped their interest in the 22-year-old Spain international, per Ignasi Oliva of Goal. 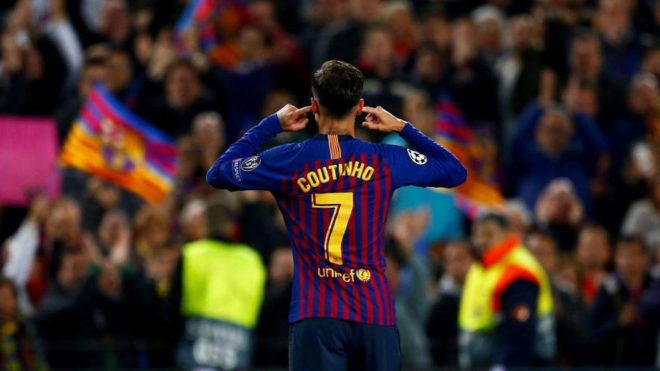 How Will Camp Nou Welcome Coutinho After 'That' Celebration?